In theory, drug dogs seems like a reasonable way to target drugs and potential dealers. 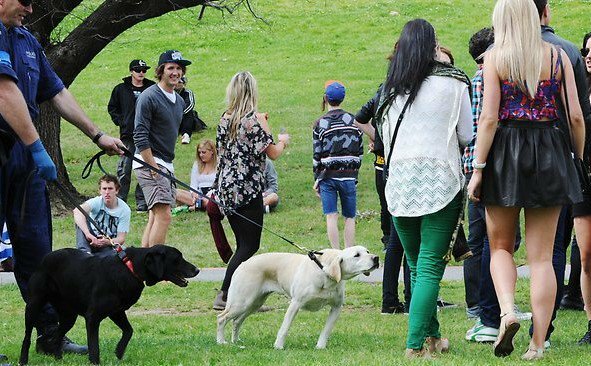 But as it turns out, sniffer dogs are wrong about two-thirds of the time, at least according to official police figures from strip searches in the Australian state of New South Wales last year. The new report reveals that of the 1,124 people singled out by dogs, only 406 were found with drugs on them. That failure rate suggests that 718 or 64% of people were subjected to an unnecessary search. The New Daily shares similar figures for the first half of this year, from January through June 7. Of the 735 times people were searched due to drug dog indications thus far, 321 were found with drugs. The 56% failure rate leaves plenty of room for improvement. Greens MP David Shoebridge of the Sniff Off campaign believes, “These aggressive searches are all about PR, about the police being seen to do something on the failing war on drugs. “Any other government program that gets it wrong almost two-thirds of the time would be immediately halted,” he adds. Remember the whole fiasco that went down at Above & Beyond last month? Fans were warned by police to leave drugs at home and if targeted by a drug dog, they’d be denied entry at the door. One young lady even claims she was turned away after being searched and nothing was found on her.